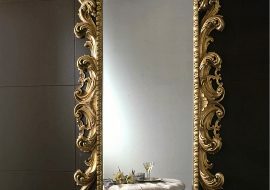 The RICCIOLO mirror, in Contemporary New baroque style or in Luxury Classic Baroque style, manufactured and custom made by Orsitalia, offers luxurious and sophisticated lines, and it is entirely manufactured in Italy by skilled craftsmen of Orsiitalia. 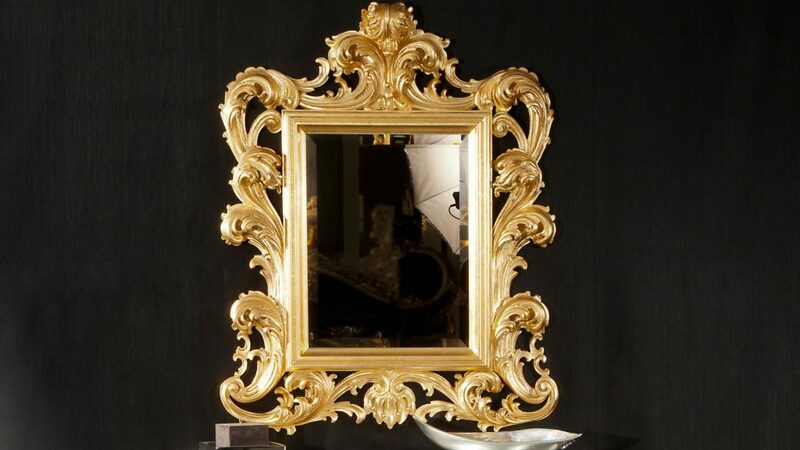 Its wooden frame is entirely carved by hand and is available with colored modern lacquer finish or with gold or silver leaves as luxury classic finishes. 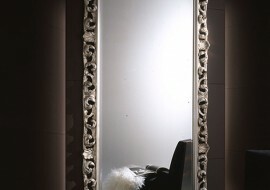 The RICCIOLO mirror, thanks to the great variety of sizes offered by Orsi Italia and the possibility of measures on demand, is able to satisfy the tastes of the most demanding customers and is adapt to every type of habitat, giving a touch of class to any environment in which you decide to put it: your home, your office, the luxurious lobby of a hotel, a splendid villa. 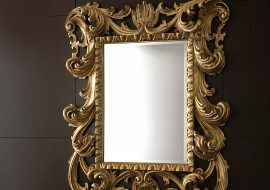 Orsitalia offers endless customization possibilities thanks to a wide range of finishes. You just have to choose your favorite combination matching to your style. Possibility of measures on demand.